DESPERATE WOMEN DO DESPERATE THINGS! A few weeks ago I tried an experiment. 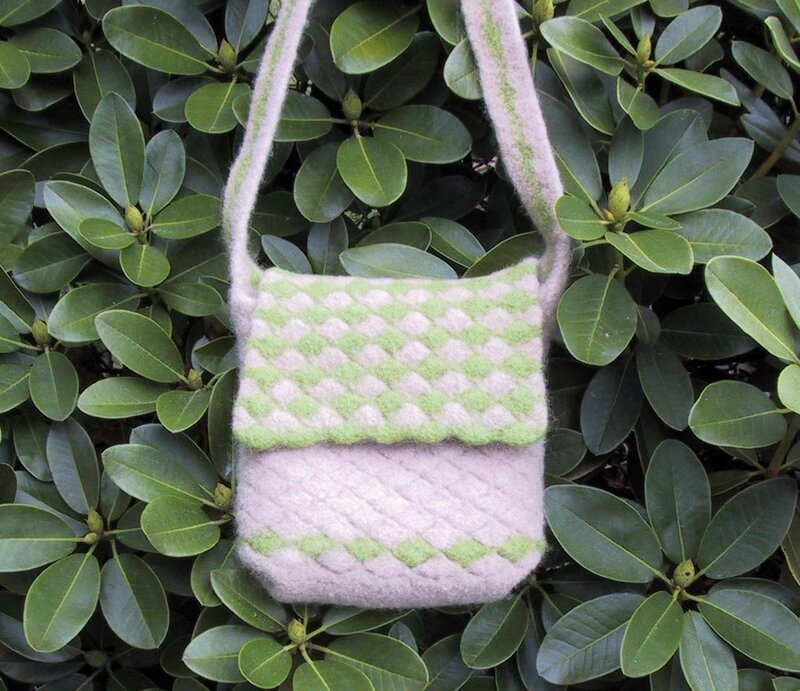 It is a crocheted bag, using the shell stitch. I consider it my first felting flop. Partly the reason I don’t like the results is the yarn. That’s what happens when you use thrift store yarn that you don’t like in the first place. The texture of the felted material is sort of basket weave like. It looks a little holey, but is dense enough that I don’t think anything can sneak out. Desperate women do desperate things. So I’m going to try over dyeing the bag and see it I like it any better. If I still hate it? Well it maybe just end up at the Goodwill.